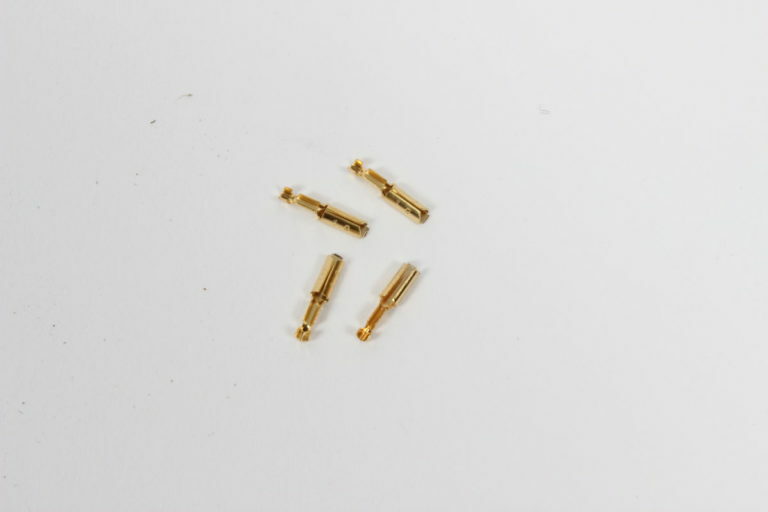 Our gold plated Cartridge Clips are available in two models. Besides the standard sized 1.2 mm we also produce the rather uncommon 1.0mm. 24 carat gold plated connecting clip for cartridges with 1.0 mm connecting pins (rare). This rare size fits, for example, older type Koetsu cartridges. The CC-1.0 is also suitable as an electrical crimp connection to our very own single lead CC – 18 Linear Structured Carbon ® wire. 24 carat gold plated connecting clip for cartridges with 1.2 mm connecting pins (Standard size).